I'd been a while since I've caught up with the girl who sports a ballistic bra like no other, but that doesn't mean I don't check in every so often. I've still got great love for the most foul mouthed hero of the wastelands..but hell man...comic books ain't cheap! Fresh off the back of their latest calamitous chapter comes this shiny new Tank Girl tale from series creator, Alan Martin and artist extraordinaire, Brett Parson! 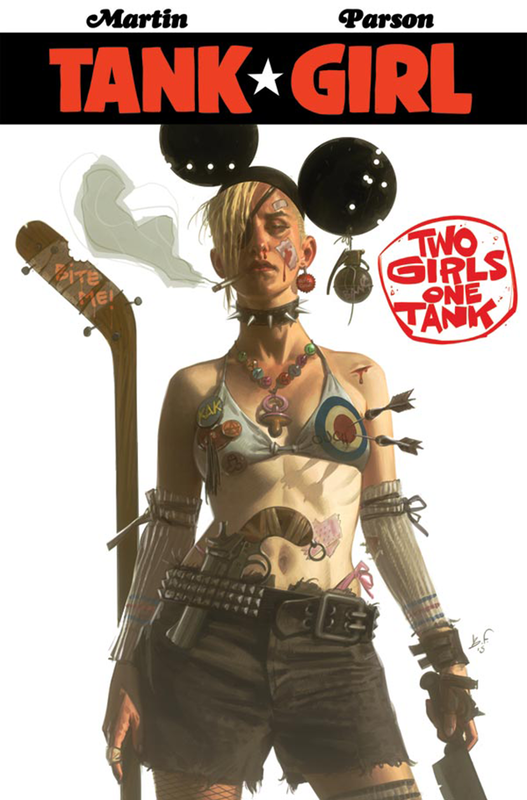 Expect a healthy dose of delirium and plenty of ball-crunching action in this high-octane crosscountry skirmish that asks the question: is this world really big enough for two Tank Girls?! Strap yourself in, folks; It’s gonna be one helluva ride! Issue #1 comes with four covers to collect!